CRUD operations are available as methods, which operate on Schema objects. The available Schema objects consist of Collection objects, containing Documents, or Table objects consisting of rows and Collections containing Documents. 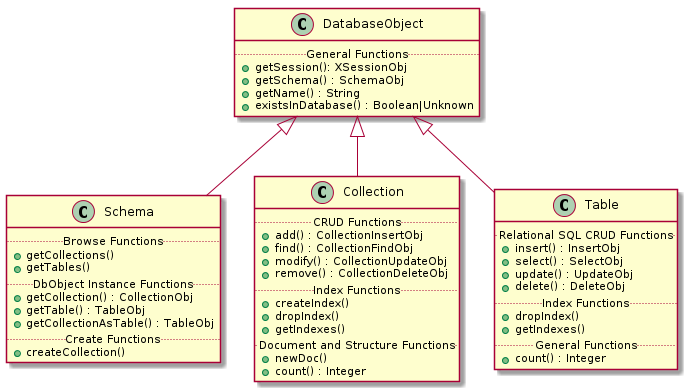 The following table shows the available CRUD operations for both Collection and Table objects.